Many years ago, I sat entranced while Vietnamese Buddhist monk, Tich Nhat Hanh, explained the concept of awareness with each bite of food we take. His metaphor was with rice: from seed to table. 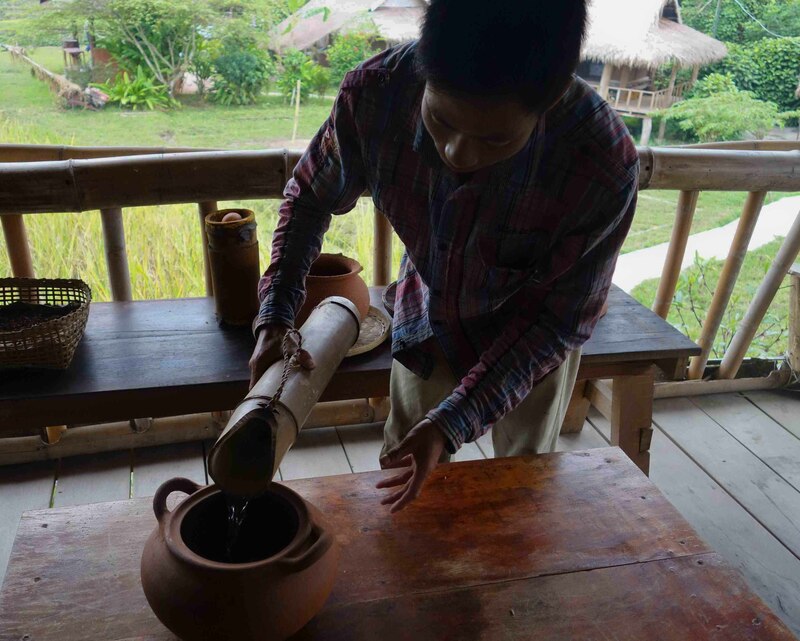 Tich Nhat Hanh comes from Vietnam, where rice is a staple food of that country and the region as a whole. 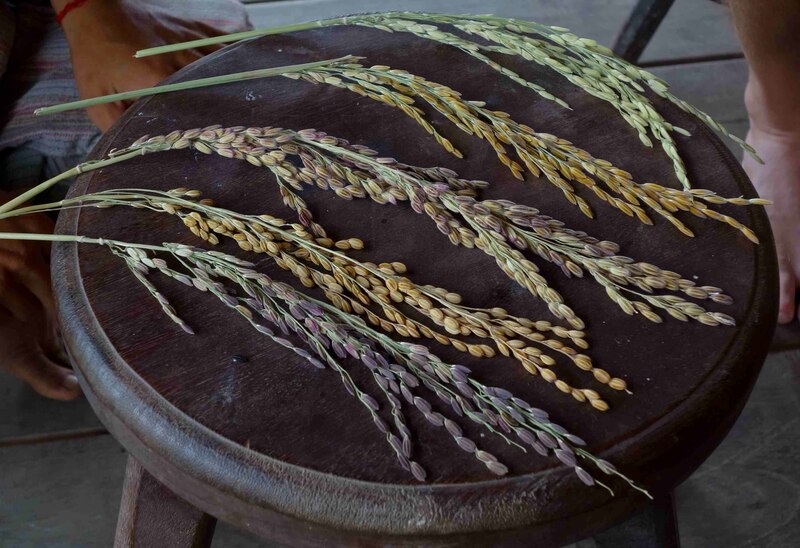 Each grain of rice takes a great amount of effort to reach harvest time. 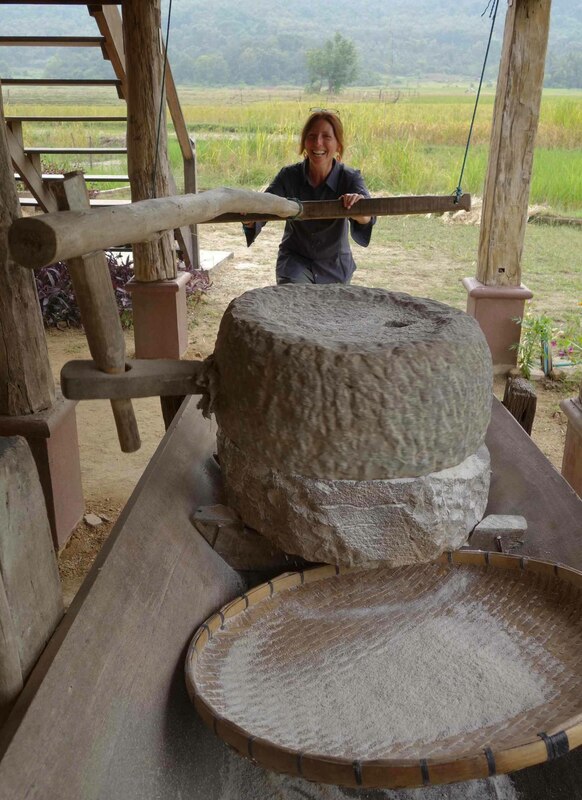 At the time, I understood the concept intellectually, but the other day in Luang Prabang, Laos, I was lucky to experience it viscerally at a living land farm. 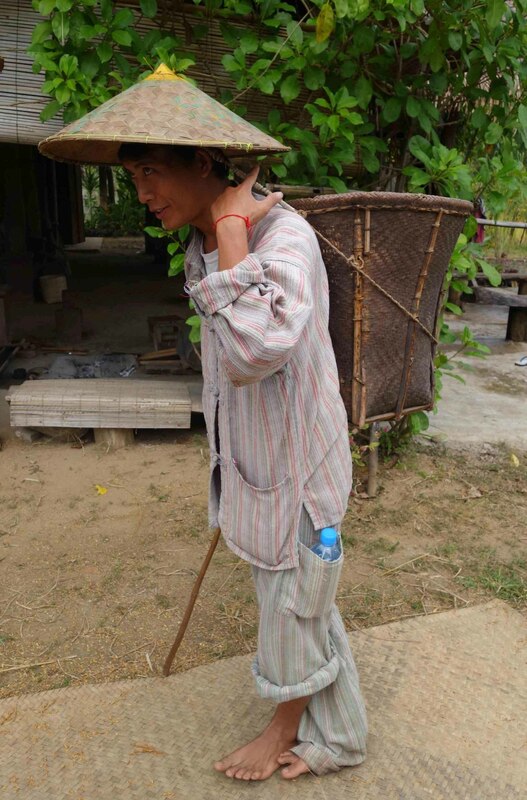 Farmers produce sticky rice from the fourteen steps that follow. Step One: Place rice seeds into a terracotta bowl filled with salt water. The water must be very salty and can be tested by floating an egg. The good rice sinks to the bottom. The rest of the rice is removed and fed to the animals. Step Two: The good rice seeds are planted into wet soil and after twenty days each seed has several sprouts coming out. 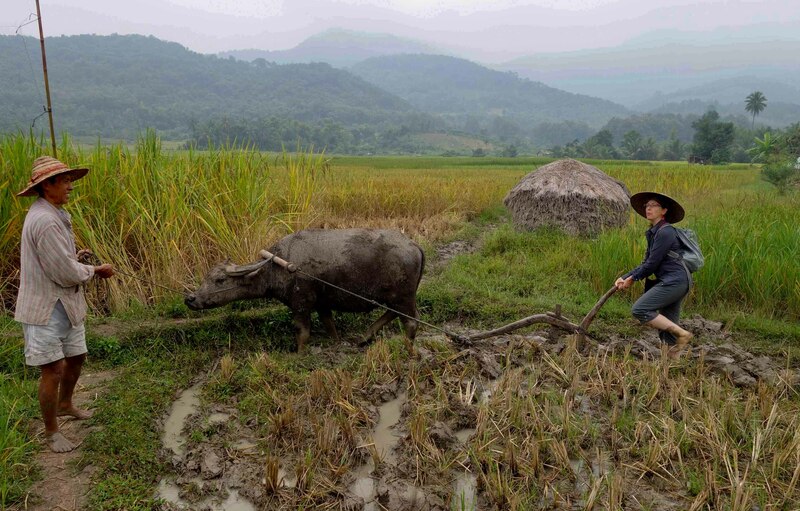 Step Three: Prepare the rice paddy by plowing the fields with the help of a buffalo to flatten it–not an easy task stepping in that mud while the cute buffalo wants to keep eating while plowing! Step Four: Plant the seedlings 25 cm apart in the mud by hand. Every ten days, water is released to keep seedlings growing stronger. If a seedling is good, it can have 20-30 seeds of rice. Step Five: Protect the field from birds and animals. Also, this is the period of watering. In the wet season this step takes about three months. 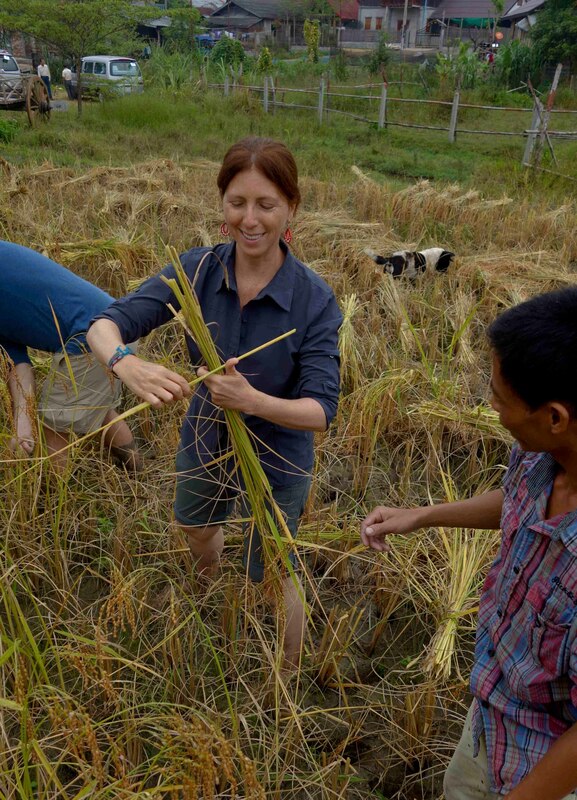 Step Six: Harvest the rice by cutting it with a sickle and tying it into bunches to dry on the field. Then, it’s placed into storage. Rice can be stored for up to two to three years. When it’s dry animals can’t get into the stored rice. 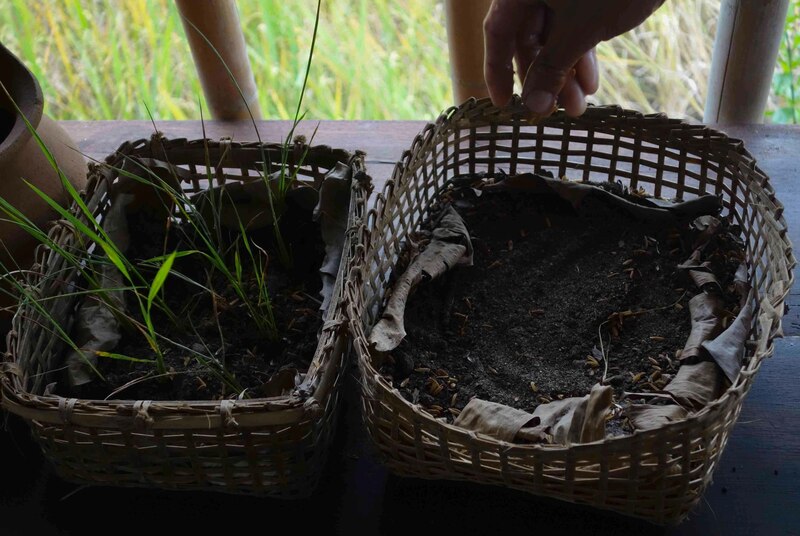 Good rice seeds may be replanted for up to two years. Step Seven: Remove the grains from the stems by threshing. Empty husks will stay on the bunch and will be given to the buffalos during the dry season. 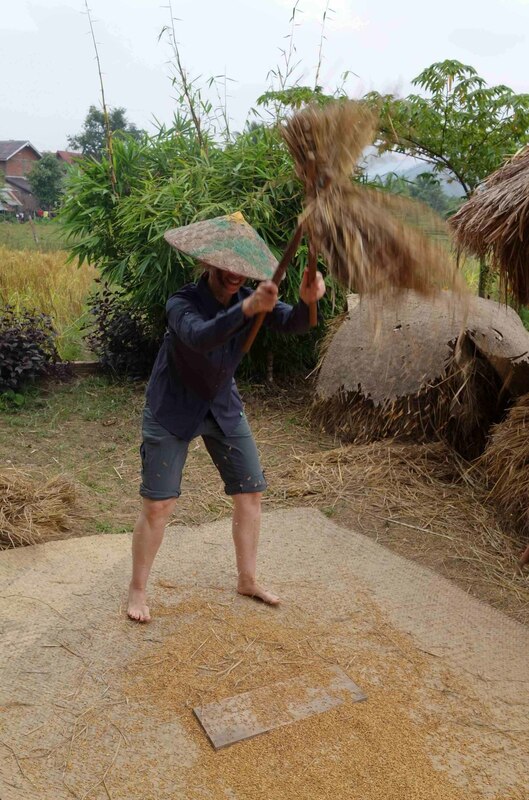 The good rice is scooped onto the straw mat for further cleaning. Step Eight: Blow empty shells and leaves out. Step Nine: Carry the seeds home on one’s back in big baskets, or sometimes the buffalo is used. Step Ten: Husking. 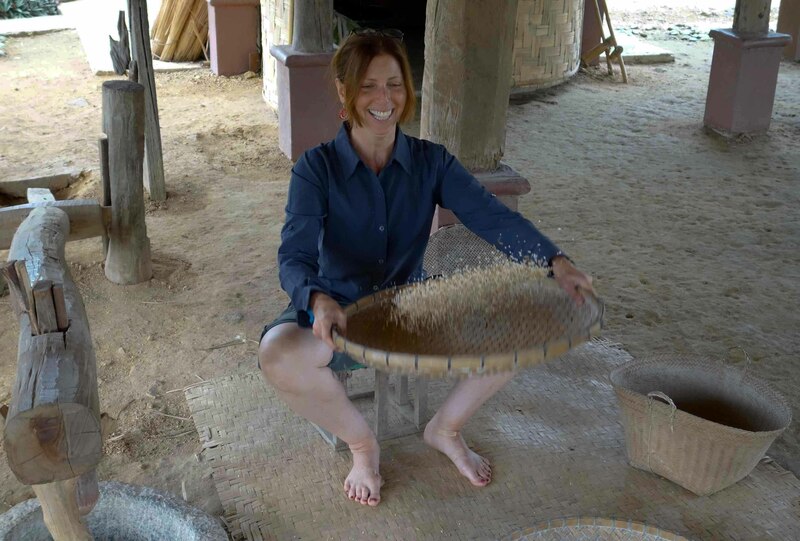 Remove the husk from the rice by using a wooden foot lever. Step Eleven: Separating and clearing the husks out. Leftovers can be fermented into rice wine, Lao Lao. Some rice is ground to make flour for baking and noodles. Those stones are really heavy to move– great for an arm workout! Step Twelve: Soak the rice overnight. Step Thirteen: Steam the rice. Enough rice will be prepared in the morning for breakfast and lunch, and it takes 25 minutes to cook. Turn over once. The fire is made of wood and dry bamboo. 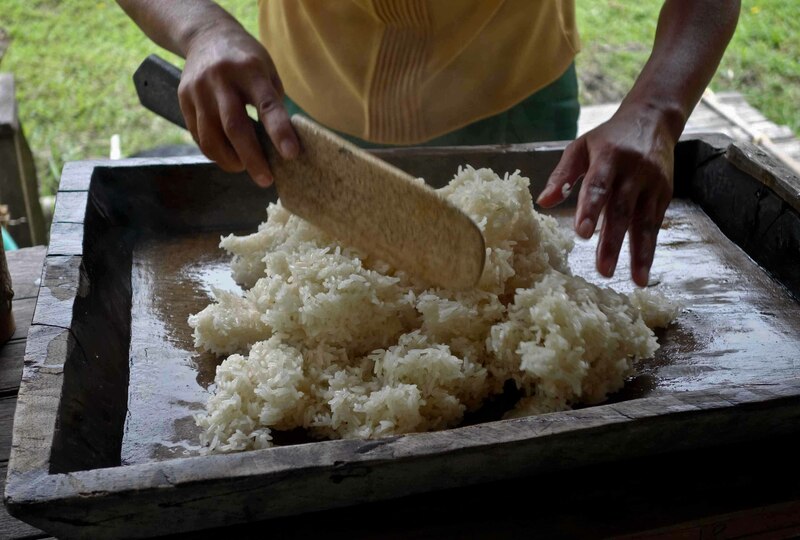 Sticky rice is a staple food and is eaten at every meal. 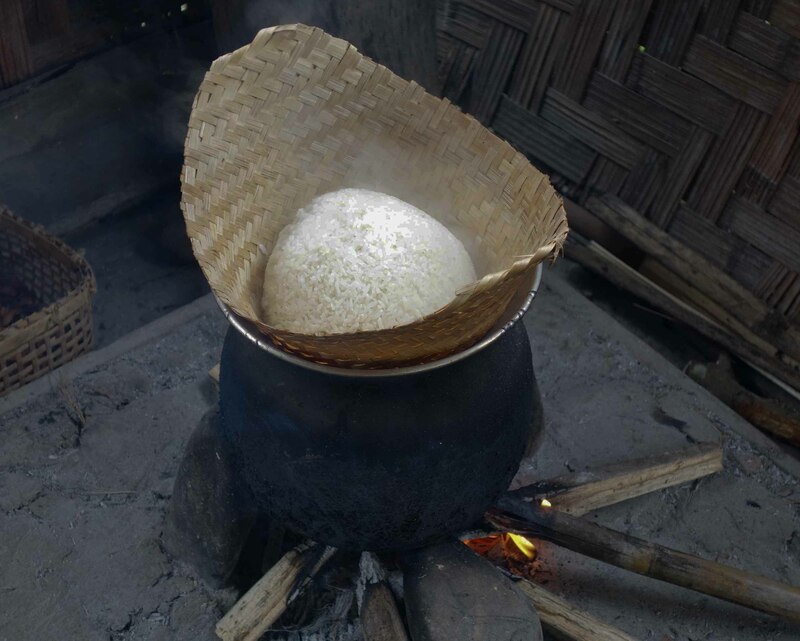 An adult eats 20 kilos of sticky rice a month! Step Fourteen: Eating 🙂 Yummy! We had a tasty meal after a hard day of work! ‹ Did I mention I LOVE Hanoi? ?